Gorgeous one bedroom, with ensuite and living / kitchenette cottage for maximum two people, minimum 2 night stay, with a lovely view of our garden. It is a standalone dwelling located on our property adjacent to our family home. Come and go as you please! A pretty and easy 10-15 minute stroll to stunning Devonport village. Catch the ferry to Auckland city, Rangitoto Island to go exploring, or Waiheke Island for a day in the vineyards. 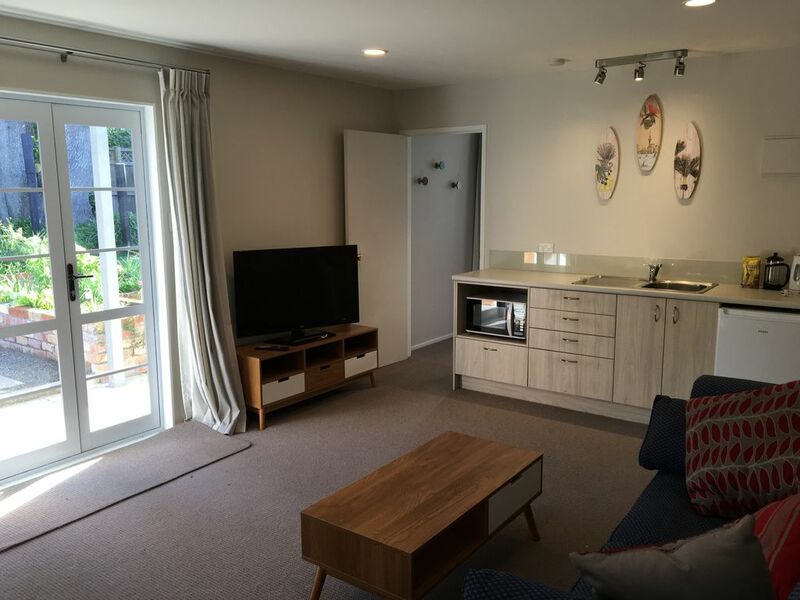 The cottage has a Smart TV (no free to air TV, bring your laptop to hook up if you like - there is an HDMI cable), WiFi, microwave, heater (if needed), toaster, tea and coffee making facilities, hair drier, iron and ironing board, and milk and muesli provided.